Hiro Ando was born in 1973 on the island of Shikoku in Japan. In 1995, Hiro Ando began a career as an illustrator after graduating from the university of tama art in Tokyo. 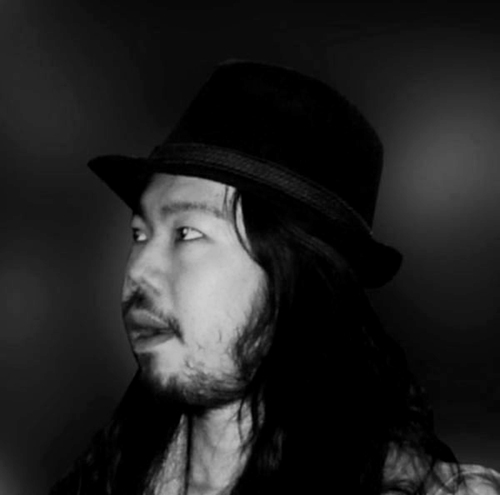 In 2005, he founded an artists' studio in Tokyo with another artist, Saori Nakamishi to manage the creation and promotion of other young neo-pop artists who include their own popular culture in their creations. Today around 10 artists are part of this studio "crazynoodles". Hiro Ando is a polyvalent artist. He has used oil on canvas, digital supports and worked in video art. Hiro's technique consists in elaborating several basic sketches before painting on the canvas. The last take shapes and emerges from the streets of Tokyo by night, they are clad with colors and graphics and move in groups. Hiro paints dark urban landscapes with red fish scattered in the canvas. The mix of the two topics makes the whole canvas both dynamic and violent, with an odd feeling of eternity due to the red fish which are reminiscent of ancient Japanese paintings and watercolors. 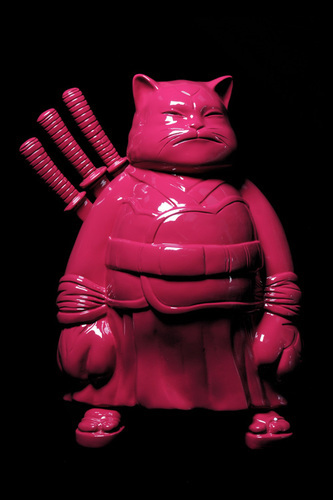 Just recently Hiro added sculpture to his large spread of media and started working on a series of sculptures which were inspired by his Japanese popular culture. 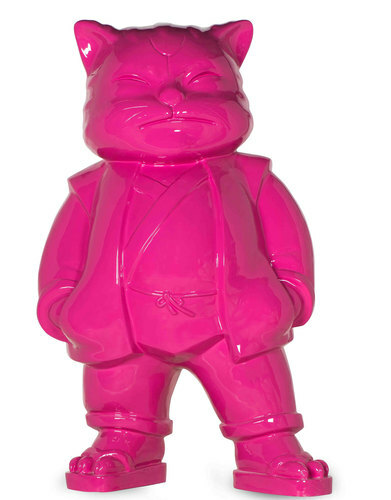 In this way, the cat, which in Japan is a lucky charm in the form of the maneki-neko, comes in a variety of traditionnal japanese figures such as the samurai or the sumo. He translates this theme in a very modern way. 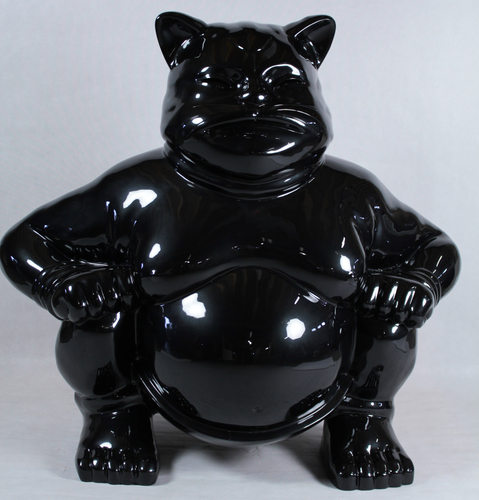 The shiny and smooth materials, the bright colors, the sharp but rounded shapes of Hiro Ando's sculptures take us to the world of mangas in which the artist's generation grew up in. 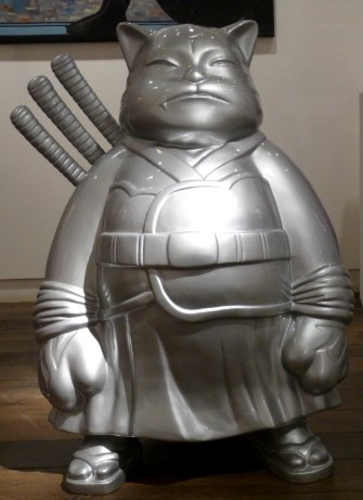 The art of Hiro Ando is the meeting between the Meiji era and the manga, it is shogun in pokemon land, it is traditionnal Japan viewed through young eyes : it definitely is Japanese neo pop art. Painted resin sculpture - Original edition of 12 ex. Painted resin sculpture - Original edition of 20 ex.